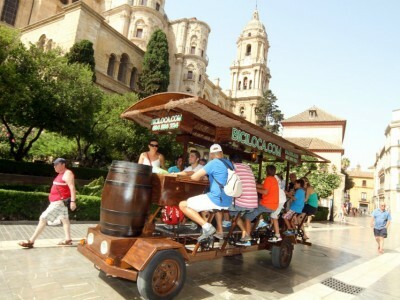 The Beer Bike… Perhaps the best form of transportation ever invented! For your hen do in Barcelona, you and the girls just need to have a trip on this amazing bike! Your group will take up your seats, and begin drinking your litre of refreshing beer or sangria. Your driver will get the party going with some awesome tunes as you cruise through the streets, turning heads as you go! Really, this is such a unique experience for your hen and your group… It’s guaranteed to be crazy fun, and a great way to see combine sight-seeing, drinking and time with the girls!